Swami Sivananda was born at Pattamadai, (Tamil Nadu) in 1887. After serving as a medical doctor in Malaya, he renounced his practice to search for his Guru in the foothills of the Himalayas. He settled in the sacred valley of Rishikesh and was initiated into the Dashnami Sannyasa tradition in 1924 by Swami Vishwananda Saraswati. In subsequent years he wrote hundreds of books and articles on yoga and spirituality to maintain and introduce yogic values in the minds of the general public. His emphasis was on breaking down the barriers which separated the needy from the teachings that could help them, whether this took the form of yoga for health, peace of mind or spiritual aspiration. This ideology continues to guide the work of the Satyananda branch of his lineage. To this end Sri Swami Sivananda Saraswati toured India extensively, inspiring people to practice yoga and lead a divine life. He founded the Divine Life Society at Rishikesh in 1936, the Sivananda Ayurvedic Pharmacy in 1945, the Yoga Vedanta Forest Academy in 1948 and the Sivananda Eye Hospital in 1957 and attained Maha Samadhi on 14th July 1963. 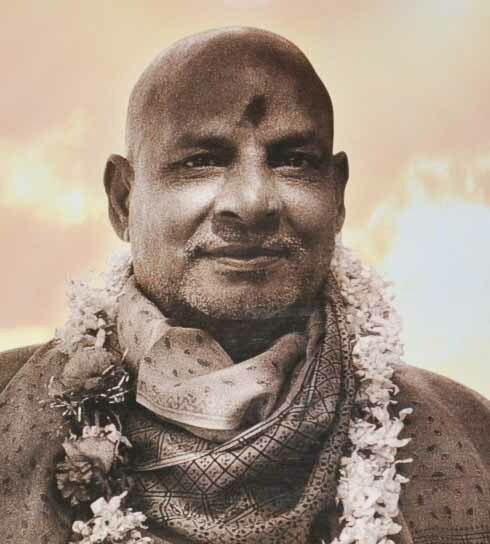 As a major spiritual voice of his time, Sri Swami Sivananda Saraswati guided thousands of spiritual seekers, disciples and aspirants all over the world. He was known to have said: "An ounce of practice is better than tons of theory. Practice Yoga, Religion and Philosophy in daily life and attain Self-realization." The teachings of Master Sivananda are summarized in these 6 words: "Serve, Love, Give, Purify, Meditate, Realise".